If your bandwidth is limited, the best social networks on which to set up shop and share are probably going to be sites such as Facebook, Twitter, LinkedIn, Instagram and Pinterest that are the most popular players in the field today. But if time is not an issue and you really want to make a splash in the social media waters, you should try making videos with the mobile app Vine. Vine’s looping six-second videos can help marketers spread their messages across social media in innovative, powerful ways. Brands take advantage of the fact that visual content performs well on social media. For businesses, the micro video app offers creative challenges as well as promotional opportunities and opens up exciting new ways to engage with online audiences. The shortness of the clips can inspire creativity and in a busy world where we all have limited attention spans, short clips are more likely to be shared and watched. Moreover, the fact that the video is on a loop means it is likely to be seen more than once before the user clicks the off button. When it comes to selling products online, buyers are looking for as much information as possible to help them make a decision. A Vine video could help to show your product in action and be the catalyst that prompts the sale. You can also encourage your satisfied customers to post their own short clips of the products they have bought. Vines can also be shared on other social networks or embedded into your website. 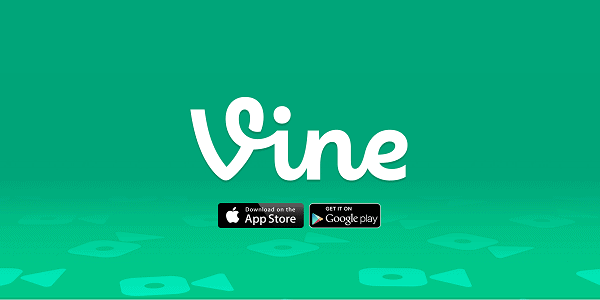 Vines help you share compelling content across social networks. It’s an easy way to create content to share on Vine and around the web. All you need to do is to hold your finger on the screen to record and take it off to pause. It’s that simple. You can record straight through uninterrupted or use the stop-motion feature to shoot your own impressively animated shorts. Treat your new products like films and promote them with a trailer on Vine. It’s a great way to build excitement around a new launch. Make sure you include a link to the relevant landing page on your website so that you can capitalize on the interest in your new product. In fact you can use Vine to flag up anything you’ve got planned from a sale to an event.You can also use Vine to show off the work you have done for existing clients, a visual presentation could be even more powerful than a written case study. Engagement is the key with all social media. Vine allows you to reach out to customers and involve them whether you encourage them to enter a competition or ask them to create their own Vine clips and use your hash tag. No matter how you use Vine, you should try and entertain your audience otherwise you have risk of losing your followers. On the flip side, like any shared content, there is always the potential for the right clip to go viral.Vine is an opportunity to be a bit quirky as long as your brand values are not compromised. You could try and tell the story of your business in a creative way perhaps using stop-frame animation. Social media has allowed businesses and their customers to build closer relationships based on regular dialogue. With Vine you can go one step further and show your customers moving images of who you are and where you are based. This could include footage of your team in the office, videos of your shop or even a clip of your stand at an exhibition. All these will help put faces to names and inspire customers to get in touch. Video can be a great medium to demonstrate something or convey useful information in an accessible way. Indeed, “how to” content is highly popular online. Of course, to demonstrate something in six seconds is no easy feat, so get creative, keep it simple and consider running a series of Vine demos or tips. With such a glut of commercial messages competing for your audience’s attention, a succinct visual message that can be quickly scanned on the go is about as convenient as it gets for them. It’s mobile. It’s social. It requires next to no effort at all to experience and enjoy. Not only do you see how many times people have liked your Vine videos, you can now get a count of how many times each of them has looped as well. Along with comments and re-vines, these two metrics provide you with a fairly good gauge for your clips’ popularity. The simplicity of Vine makes it possible for you to capture news as it’s happening without any preparation whatsoever. It’s ideal during live events or when you want to involve others in the action and share an exciting firsthand experience not just on the channel itself, but on Twitter, Facebook and even your own blog.